“From the first teaching session(at Tractrain) I was given a lot of encouragement that helped build my confidence up to a level that I was comfortable going into the exam. The assistance I got from Tractrain throughout the process was brilliant. This assistance was targeted at different key areas of my profile that would help me stand out amongst other candidates from around the world…. Carnegie Mellon University (Global MISM, Class of 2018). 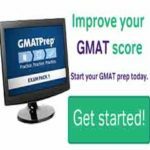 “….the TRACTRAIN GMAT prep programme (I scored a 740! on the GMAT) equipped me with cutting edge skills to achieve all these. They don’t just teach you, they make you sound”. WHARTON, Univ. Of Pennsylvania (MBA). GMAT score: 720. INSEAD MBA. GMAT score: 710. EDHEC Business School (Msc Finance), France. (ex-KPMG). “This is to affirm that my class at TRACTRAIN in preparing for the Lagos Business School Executive MBA program, really paid off handsomely. With careful attention and good guidance from qualified, dedicated and serious tutors; the exam was literally a walk over. TRACTRAIN is the ideal place to excel in any GMAT exam” See forbes (Paul built $10 Million toy company in Lagos from scratch). WHARTON, Univ. Of Pennsylvania (MBA). 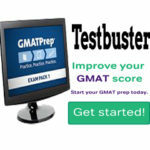 GMAT score: 760. 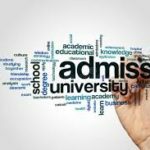 If you are a busy professional and applying to an Ivy league business school, please seriously consider TRACTRAIN GMAT prep and admission consulting services. It worked for me.